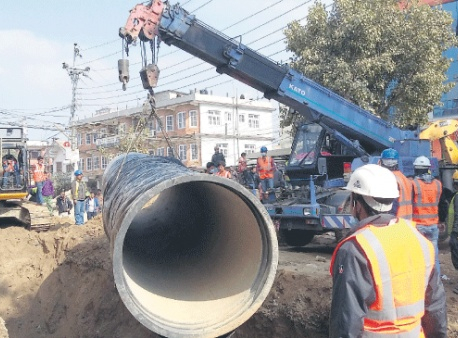 KATHMANDU, Feb 15: Bankers have urged promoters of bank and financial institutions (BFIs) to not give them pressure to provide high dividend at a time when they are reeling under lendable fund crisis. Speaking at an interaction on 'Current Challenges of Running Business and Role of Banking Sector' organized by Nepal Chamber of Commerce (NCC) in Kathmandu on Tuesday, leaders of BFIs expressed frustration over the pressure they often face from the promoters to deliver higher returns on their investment, irrespective of the challenges that they are facing in the market. According to them, the current shortage of lendable fund was a consequence of aggressive lending from bank and financial institutions (BFIs) in the last few months because of the promoters' pressure to deliver higher returns. 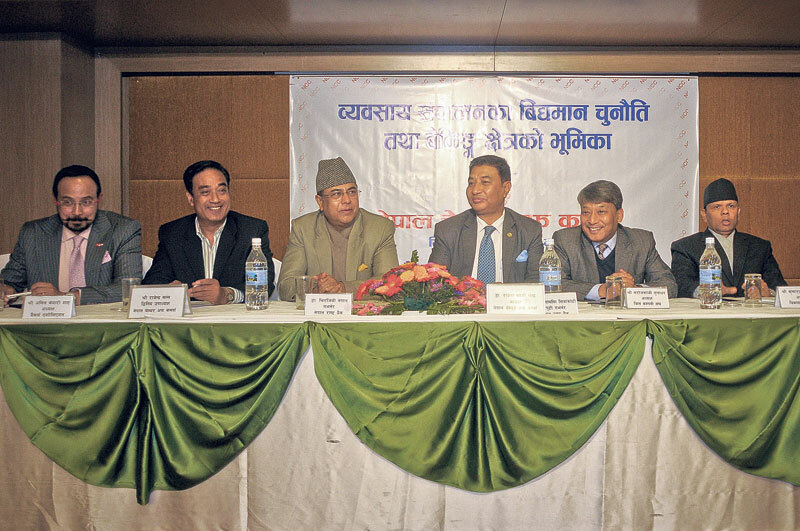 “Many of the BFIs are promoted by businessperson or corporate houses, and they have been demanding with the CEOs to ensure higher dividend for shareholders, prompting the management to haunt businesses,” Krishna Raj Lamichhane, president of Development Bankers Association of Nepal (DBAN), said, addressing the interaction. “Depletion of lendable funds was due to massive investment while trying to fulfill the profit-minded motive of shareholders,” he added. 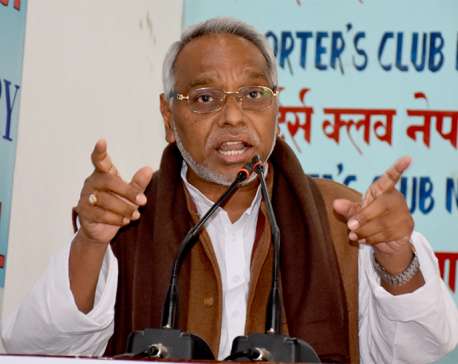 He also said that this was the time for corporate houses, who also promote BFIs, to agree on lowering the interest spread rate even to 3 percent from 5 percent. Huge profit reporting by the BFIs in the second quarter of the current fiscal year 2016/17 despite shortage of lendable fund had raised brows of many analysts. Analysts attribute the huge profit margin to aggressive investment of the BFIs in the first half of the current fiscal year in unproductive sector like hire purchase, real estate and margin lending. Bankers, however, point out to the need for growth in investment in line with the rise in the paid-up capital to ensure 'reasonable' rate of return to their shareholders. Anil Keshary Shah, president of Nepal Bankers' Association (NBA), also echoed the sentiment of Lamichhane. “Definitely, the result is also due to the pressure of return to shareholders with the rise in paid-up capital to Rs 8 billion. We will raise the paid-up capital as required by the NRB within the deadline. However, the shareholders should not expect the return immediately,” he added. He also said that bankers have decided to slowdown loans growth in the wake of lendable fund crunch. “As banks have nothing to do with fall in deposit growth, like fall in growth rate of remittances and failure of the government to increase development budget, we can, however, slowdown our lending to address the current problem of credit crunch,” Shah, who is also the CEO of Mega Bank Ltd, said, adding that the new loans will be focused on productive sectors as defined by the central bank. “The way we expanded our loans in last six months affected country's economy. Now, we are moving ahead by correcting that trend,” he added. He also defended the move of informal agreement of bankers to cap deposits rate at 12 percent, saying that it was needed to stabilize interest rates. 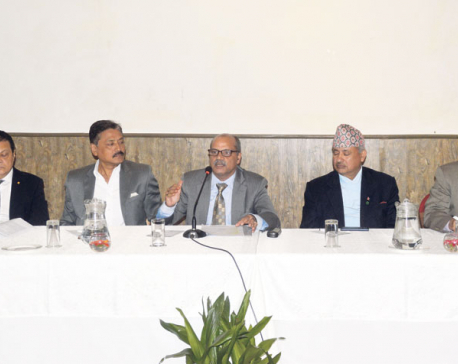 Also speaking at the event, NRB Governor Chiranjibi Nepal said that the central bank was satisfied with the way the BFIs have taken steps in recent days for self-discipline, following the NRB's instruction to correct themselves.